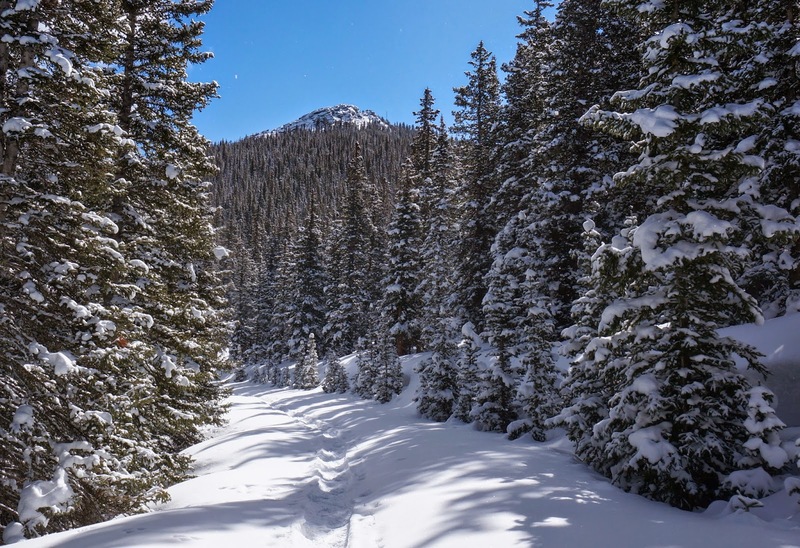 While it is officially spring, in the Front Range of Colorado, it is still very much winter. 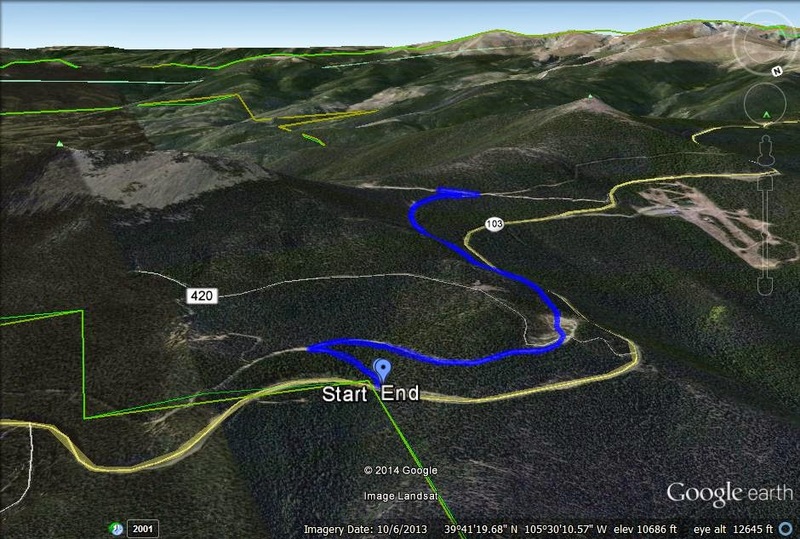 Directions: While there is an actual Old Squaw Pass Road, this hike follows the old Old Squaw Pass Road. The Road is now a dirt access road and in the winter a snowshoe/ski trail. To reach the start of this hike from Evergreen, take Squaw Pass Road (the road that leads to Mt. Evans), west out of town. Go west for 10.5 miles until you see Rd 2521 on the left. All you will see is a dirt road, a small National Forest info sign and a small road marker saying 2521. Park on the shoulder but do not block the road. Parking is limited and even more so in Winter. 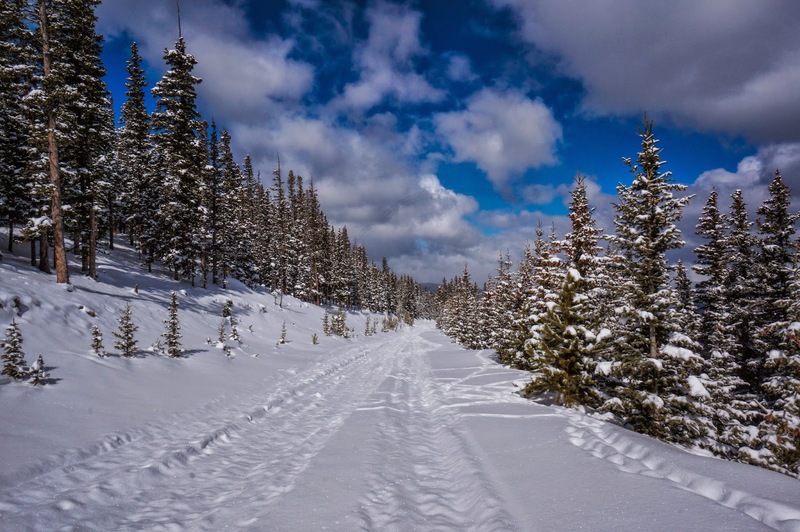 In winter this makes for a wonderful cross country ski trail or snowshoe trail. This part of the mountains leading up to Mt. Evans gets, and holds on to, a ton of snow, and on a sunny day after a good dumping of fresh powder, it is spectacular. 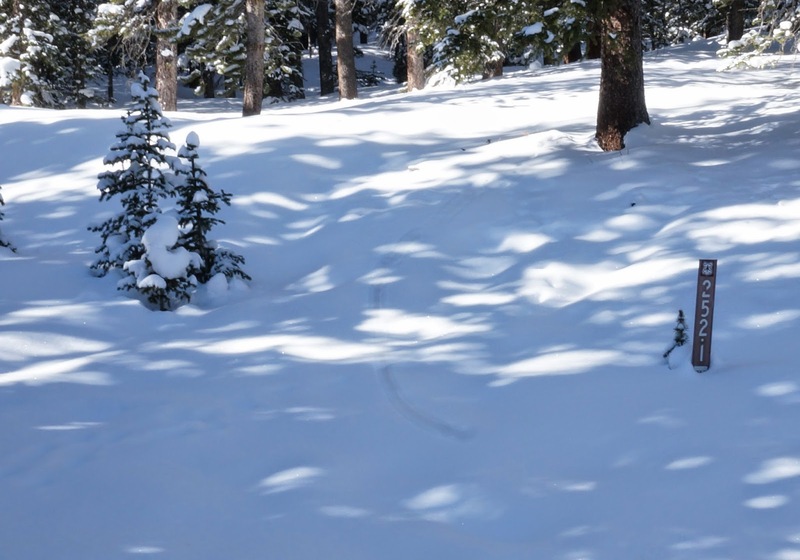 This trail also provides a longer access route to summit Squaw Mountain. That was my goal on this fine day, but unfortunately, my time and weather window closed too soon. Even if you just follow the trail to the intersection with the road leading up to Squaw Mountain, it is a wonderfully pleasant trip, and a great workout. Begin by following road 2521 for about 1/4 mile where it intersects with Old Squaw Pass Rd. Make a right and follow the road as far as you like. The road steadily ascends until it connects with road 1921 about 1.3 miles later. 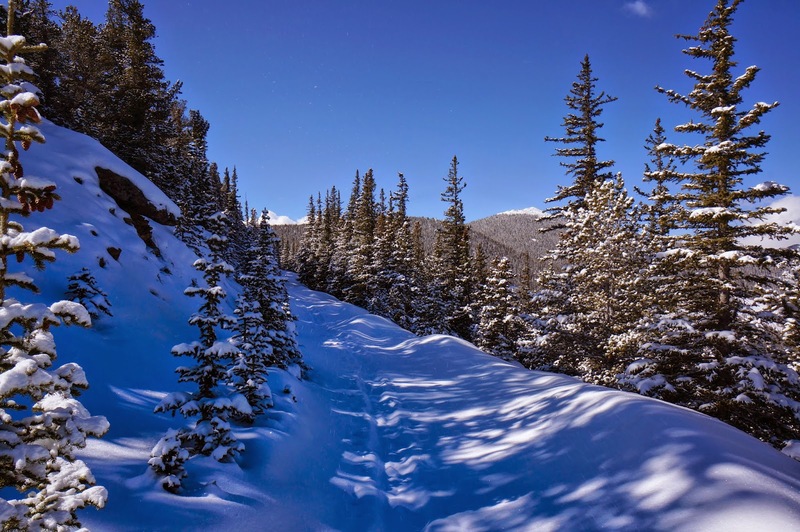 Along the way you'll get a stellar view of Chief Mountain and views across the valley to the Continental Divide above Idaho Springs, if the weather holds. This is a semi-popular trail so you should have tracks to follow the whole way.